“How to take advantage of a niche’ market that is growing to the tune of 3.5 million customers a year,” was the subject of a presentation to real estate stagers and decorators at the semi-annual AmericasMart event in Atlanta. “At a time when so many boomers aged 55+ are moving to a more care-free lifestyle in modern senior communities, there is much to do to get the current house sold and to get themselves moved,” says local Lehigh Valley business woman, Jill Kearney. Kearney founded Senior Moves by Design, a professional senior move management and real estate staging firm that helps boomers and beyond, as they transition from one home to another. They provide services including, but not limited to, managing the physical move; services like organizing, rightsizing, selling off extra possessions, staging the current home to sell, designing the floorplans for the future home and interior decorating. “Most senior move management companies specialize in the physical move. We have created a unique niche’ by providing a one-stop shopping source, from managing repairs and preparing the current home to sell, all the way through artful display of collectibles in the new home,” reveals Kearney. It is this mentality that has enabled Kearney to excel in the senior move market and earn national respect from her peers. She was invited to present her strategy for niche’ marketing to designers at the semi-annual AmericasMart in Atlanta, who were attending a two-day conference sponsored by The Decorating and Staging Academy. AmericasMart Atlanta is one of the world's largest permanent wholesale trade centers. Totaling over 7 million sq feet, it hosts the semi-annual Atlanta International Gift and Home Furnishings Market. It is open only to retailers and those in the design community. Kearney and her firm, Senior Moves by Design, have moved over 200 seniors in Eastern PA, mostly by referral from senior communities and former clients. They also partner with senior move managers in other states to coordinate long distance moves. Jill is a member of the board of directors of the National Association of Senior Move Managers and is a frequent speaker at national conferences and local senior events. 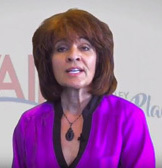 If you’re interested in having her speak at your event, visit SeniorMovesByDesign.com or call 610-570-0247. If you are a professional stager or designer and would like to connect with Jill, link up with her at https://ww.facebook.com/jill.kearney7. Companies that provide non-medical in-home care will be happy to know what their competitors are up to with THRIVE Media's non-medical home care benchmark report conducted in the fall of 2014 for the Lehigh Valley. The report can be characterized as an enhanced market study. The report includes information ranging from caregiver wages to average billable hours to the top referral sources for home care companies. There is much more information available that helps an organization measure its performance to its peer group. Over 30 non-medical home care organizations in the Lehigh Valley, PA were contacted for this survey. Not every organization met the qualifications for the survey group to be included in this report. Also, not all respondents answered each question. In many cases, this is attributed to the respondent not knowing the answer. Most participants in the survey answered at least 85% of the questions. Click here to download a preview. To obtain a copy of the report call 855-233-7034. The survey was conducted via telephone and allowed THRIVE to ask follow-up questions and gain more insight into industry trends, best practices, challenges and opportunities. Additional and extensive research was done on the trends and best practices including interviews with local and state government offices, nonprofits, national professional organizations, research companies and other organizations that work with non-medical home care organizations. To discuss this report or purchase the full executive version, contact THRIVE for more information at 855-233-7034 or jeff@thrivemedia.us. THRIVE Media specializes in building brands for health and senior care organizations through communication, content and analytics. Most who work in health or senior care in the Lehigh Valley know that there are many home care companies serving the area’s large senior population. The best estimate puts the number of home care companies above 80 (source: THRIVE Media’s home care benchmark study, Fall 2014). Most provide companionship and personal care. Others provide medical services in one’s home. One reason that there are so many home health providers is that each one has its own niche. 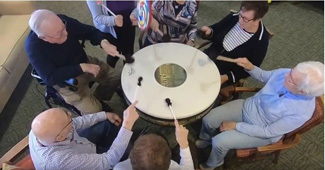 Southeastern Home Health Services is unique in many ways. Southeastern Home Health Services not only offers skilled services at a patient’s house or in a personal care home; it also focuses on specialty disease management programs. One program is a cardiac program for patients with congestive heart failure, which includes an advanced telemonitoring system. Telemonitoring helps patients manage their illness, thus reducing hospital stays. They also have an oncology program which focuses on aggressive pain and symptom management for patients living with cancer. Southeastern is also an advocate for patient education. They teach clients and direct care workers about nutrition, medication management, and managing symptoms related to their illness. Finally, Southeastern provides all of their patients with Southeastern Connect, a “home healthcare nurse call button”, which provides an instant connection to the patient’s nurse and peace of mind to patients and their caregivers. 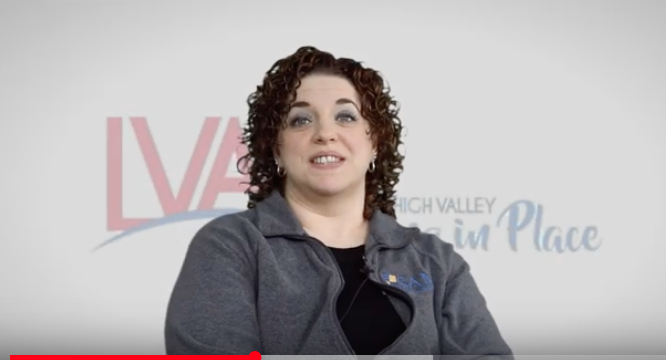 Southeastern’s Inge Allen, Clinical Nurse Liaison for the Lehigh Valley, says that they can add value to LVAIP members who do not offer skilled nursing. Personal care homes, for example, can benefit from Southeastern nurses coming into the facility to coordinate services like nursing and rehabilitation. “The process is seamless,” says Inge. “We receive a referral and within less than 24 hours we can see the patient. We can also care for specific diseases like COPD, congestive heart failure, wound care, monitor medications and treatment changes. We also educate aides at personal care homes.” Southeastern often offers blood pressure clinics at senior events and senior living communities. 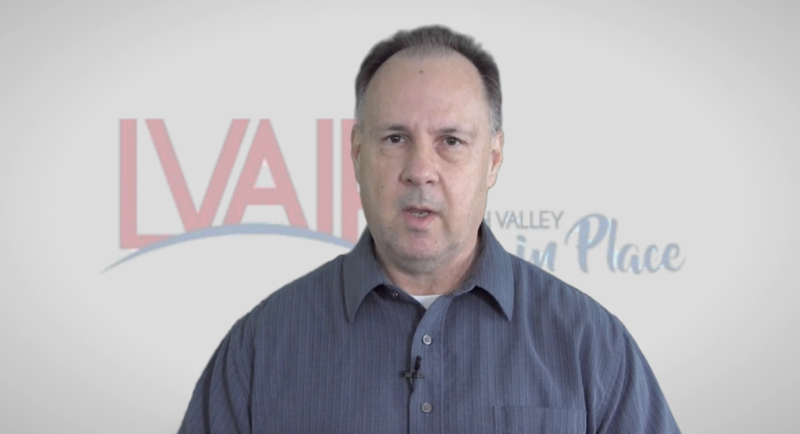 LVAIP encourages its members to get to know one another and build relationships to better serve seniors. If you would like to learn more about Southeastern Home Health Services, contact Inge Allen at 610-573-7316 or iallen@sehomehealth.com . Many baby boomers find themselves in the sandwich generation. This is the predicament of being a caregiver for an aging parent while still raising children. It can be a difficult task especially if you're aging parent lives a distance away. There are several options you can pursue to lighten your burden and have peace of mind. Your aging parent probably has friends and neighbors with whom they talk with and see. If you not know them introduce yourself and contact information. This way you can call and check in with them and conversely they can call you should they notice any changes in your parent’s behavior or routine. Introduce yourself to your parent’s church as well as any members of social groups or organizations where they may attend. Make sure they have your contact information as well. Many times a simple introduction to a friend, neighbor or church member will be followed by an offer to check up on your parent occasionally. It may also be prudent to visit your parent’s local bank, grocery store, and other places where he/she frequents. Provide them with your contact information should they notice a change in your parent’s habits. Many services like in-home care, concierge and handymen can be contacted to help mom or dad around the house. Not only can they get things done around the house, but also they can keep them from potentially dangerous situations where the aging loved one tries to do something his or her self. Consider a medical alarm or medical alert too. These pendants are worn around the senior’s neck and readily available to call for help should the need arise. The monthly cost is affordable and provides peace of mind. It is imperative that your aging loved one has emergency contact information available at the ready should they need it or become confused. Equally important is to have emergency contact information available in the kitchen, fridge or behind the front door. This is where most emergency personnel look for such information to call family and friends of the loved one. Depending on the state of your parents you may need to pursue the above discreetly as to not upset them. Many older Americans can be stubborn and are embarrassed by their failing mobility and health. Be respectful of their situation but don't let their stubbornness stop you from keeping them safe. If something happens you will be glad that you did. When seniors want to maintain their independent lives at home, they call Maintain Your Independence. Maintain Your Independence will help you decide which product is the best fit for you or your loved one. With services that start at less than $1.00 per day, isn't it time you protect yourself and your family? Contact us today at 484-515-4683! Maintain Your Independence, LLC (MYI) provides medical alarms and medical alerts, products, services and information that enable seniors to remain independent and stay in their homes. We call it aging gracefully in place. Our customers call it confidence in access to emergency medical care and peace of mind that they or their loved ones are being taken care of 24/7. They no longer need to be concerned that they might fall and be unable to move for hours or even days. I will always answer any questions you have - 24/7. I will not sell you a service unless I think it meets your needs. You will always receive FREE installation and personalized instruction. You'll never have a long-term commitment or a price increase. Jill Duffey Kearney is the Founder and Owner of Senior Moves by Design, a team of Senior Move Managers, Real Estate Stagers, and Redesigners, who serve clients from the Easton to Reading and down to Phoenixville. They specialize in “joyful transitions,” an oxymoron in most people’s minds. They also partner with senior communities grateful to find helpers to assist new residents in the physical and mental process of moving. New residents settle in quickly and engage in all the benefits of their new lifestyle. Senior Moves By Design is a member of the National Association of Senior Move Managers (NASMM). For more information call their office at 610-295-0036 or visit SeniorMovesByDesign.com.